Translink Group Chief Executive Catherine Mason has been appointed a Visiting Professor at the University of Ulster. She has been appointed by the School of the Built Environment and will be passing on to students her expertise in tackling public transport challenges and growing and developing passenger transport. Catherine has held the Translink post since 2008 and has extensive transport experience, having also workedin marketing and operational rolesforArriva plc, a multinational,public transport companybased in Sunderland. Originally from Liverpool,she is a Chartered Director and a Chartered Marketer, a Vice President of the Chartered Institute of Logistics and Transport and an elected Fellow of the Institution of Civil Engineers. She is a Board member of Business in the Community and a member of the Confederation of British IndustryCouncil. Catherine also holds a Certificate of Professional Competence in National Passenger Transport Operations and aPassenger Carrying Vehicle (PCV) licence. Following her appointment she said: “I am delighted to become a Visiting Professor at the University of Ulster. “I am deeply honoured to have been asked by the School of the Built Environment to become a Visiting Professor and am very much looking forward to engaging students and staff on public transport matters in this highly respected School. “This is a wonderful recognition of Translink and all the hard work that has been put into making public transport an attractive option for students, commuters and leisure travellers. “Translink already has strong and enduring links with the University of Ulster, as a number of our employees are former students and a number of people who join us then become engaged in study at the University alongside their roles in Translink. 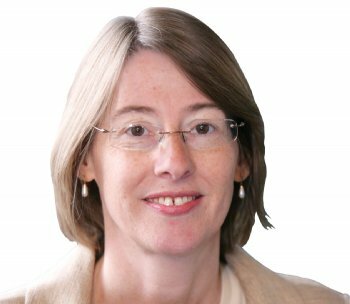 Professor Greg Lloyd, Head of School of the Built Environment, said: “We welcome Catherine Mason’s appointment at a time when transport issues are high on the political agenda and the sector will play an important part inoursocial, community and environmentalwelfare, wellinto the future. “We also wish to acknowledge the strong relationshipwe have with Translink and I would like to put on the record our gratitude for its support for the Transportation courses in the School of the Built Environment.